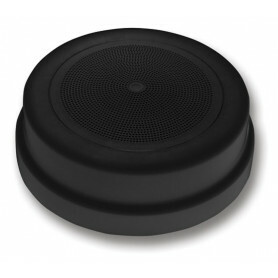 Surface Mount Speakers There are 4 products. 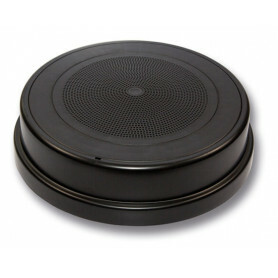 This range of speakers is moulded from industrial grade, talc-filled polypropylene and designed to mount directly to the underside of concrete slabs or inaccessible ceilings. The housing is surface mounted with concealed internal fixings. Speaker cable entry can be either from the rear, or via surface mounted conduit (four 19mm conduit knockouts are provided). 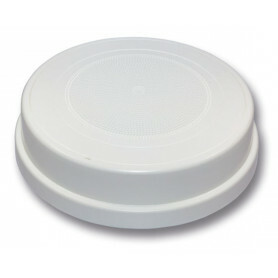 An excellent choice for use in plant rooms, warehouses, shopping centres, malls etc. Each speaker is fitted with a 100V line transformer tapped at 0.33, 0.66, 1.25, 2.5 and 5W. They also include a 4 way wire protected terminal strip and a 22μF bipolar capacitor for line monitoring applications in OWS & EWIS systems.